Here’s a short piece about exciting developments in Lewes…. Despite George Osborne’s best efforts, the UK will soon be facing huge hikes in the cost of energy supply as falling global production, political unrest in the Arab world, increased demand from India and China and new nervousness about nuclear cause oil prices to soar. Part of the solution to this problem has been obvious for a long time: localise energy supply. 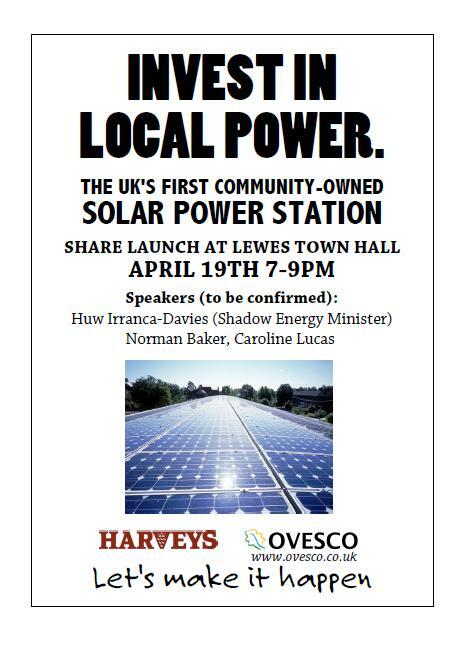 In Lewes, East Sussex, the energy services company Ovesco 1 is teaming up with Harveys, the local brewery, to install the country’s first community-owned solar power station on the roof of Harveys’ warehouse. 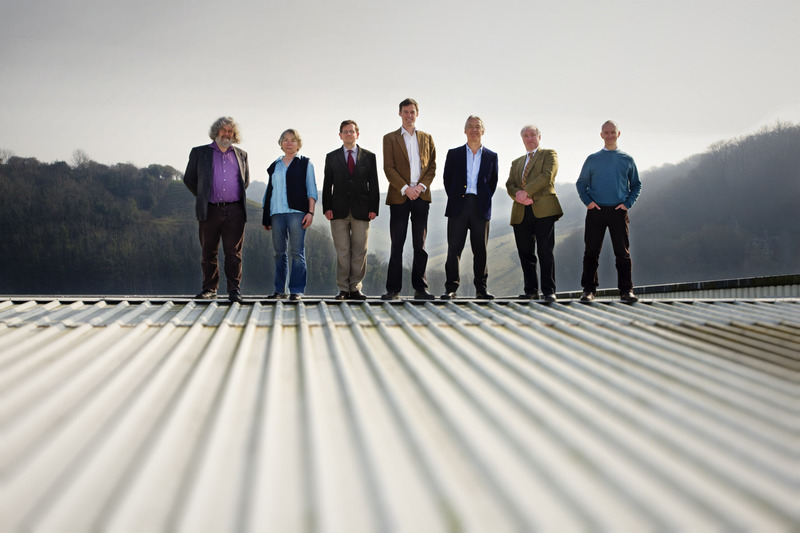 Ovesco, a non-profit IPS, 2 hopes to raise 100% of the £307,000 installation cost from local investment. The 544 solar PV panels will generate 92 kilowatts peak, an estimated 98,000 kilowatt hours per year. If the installation is completed by August 1st this year, all the power generated will qualify for the top rate feed-in tariff 3 of 34p per kilowatt hour, ensuring returns to investors of 4% per annum over the 25 years of the scheme. Unfortunately two blows have recently fallen since the scheme was first planned: Climate Change Minister Greg Barker has decided to cut the tariff above 50 kilowatts to 19p as of August 1st, and George Osborne has decided to remove EIS tax relief from FIT businesses. 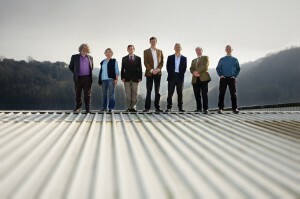 L to R: Nick Rouse, Liz Mandeville, Miles Jenner (Harveys), Howard Johns, Dirk Campbell, Hamish Elder (Harveys), Chris Rowland. Credit: Tony Smedley. Despite these setbacks Ovesco will go all out to complete the installation by early July. Lewes Football Club has already expressed interest in hosting a PV array and its south-facing roof is scheduled to be Ovesco’s next site. Other sites are being considered. 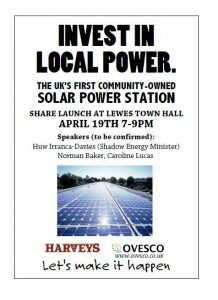 Ovesco’s long-term plan is to make Lewes District self-sufficient in renewable energy by 2030. The company already has three years’ experience in managing Lewes District Council’s grant scheme for domestic renewable installations including passive solar, photovoltaic, wood-burning stoves and ground-source heat pumps, and running energy audits on domestic and public buildings. See here for more details. 1 OVESCO Limited (FSA registered company No. 30875R) 2 Station Street, Lewes, BN7 2DA. Tel: 01273 472405, E-mail hello@ovesco.co.uk www.ovesco.co.uk. • to assist local people whose houses are not suited to existing forms of renewable generation to make their homes more energy efficient. 2 An Industrial and Provident Society, or IPS, is a recognised and legally structured way to enable people to invest in community assets, and gives all investors equal control over decisions. No payments to Directors or other parties are made, and the shares cannot be traded. Many organisations that generate green energy take this form. 3 The feed-in tariff, paid for each unit of electricity generated and currently guaranteed by government for 25 years, will enable Ovesco to pay dividends to investors. SO cool! Well done TT Lewes and OVESCO. I am so proud and energized by the good news of Transition and am spreading the word through word and action! The call goes out: Wake up homo-sapiens…change happens! Through Heart and Soul of Transition Love and Light goes out and around to all the parts of one whole creation. Never mind about the reduction of FITs and fiddling with the tax relief; its not about making money. The creation of the IPS is the significant move. Long may it thrive in Lewes! Way to go TT Lewis and Ovesco. Thought the webmaster may want to kow that the link ‘here’ doesn’t find more information at all. Thank you for all your positive support and let’s see other community groups set up IPS’s to do the same.